EghteadOnline: Plans are underway to create an Iranian consortium to join the Enterprise Europe Network with the aim of connecting Iranian small- and medium-sized enterprises with their counterparts in Europe and promoting these enterprises on an international scale. The announcement was made by Esfandiar Omidbakhsh of Iran Chamber of Commerce, Industries, Mines and Agriculture who added that the consortium will be headquartered at ICCIMA, the chamber’s official news service reported. Launched by the European Commission in 2008, the Enterprise Europe Network helps businesses innovate and grow on an international scale. It is the world’s largest support network for SMEs with international ambitions. As the network’s official website Een.ec.europa.eu says, the network is active in more than 60 countries. It brings together 3,000 experts from more than 600 member organizations, all renowned for their excellence in business support, according to Financial Tribune. The Research Department of Tehran University, Trade Promotion Organization of Iran and the Science and Technology Department of the Presidential Office have currently been nominated as members of the consortium. As Omidbakhsh explained during the meeting with the representative of the aforementioned organizations, the aim of this consortium, which will be formed in collaboration with both the public and private sectors, is to promote SMEs’ international activities and expand their capacities. 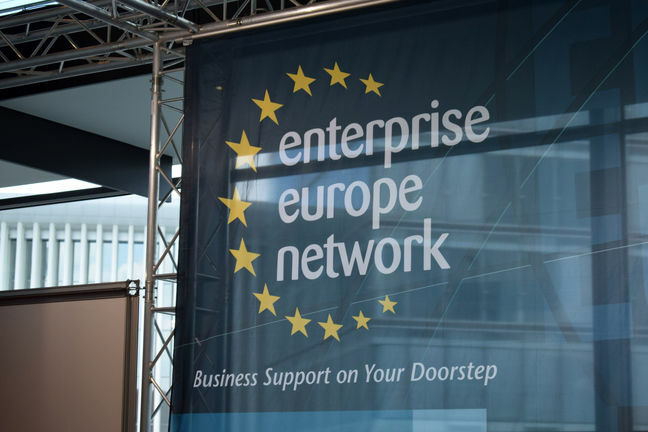 “The Enterprise Europe Network focuses on three main areas, namely trade, technology transfer and research collaboration,” he said, explaining that the first step to join the network is to form a consortium that should have 3-4 members. The ICCIMA official emphasized that the members should be selected as per the network’s priority areas. “To finalize Iran’s membership in the network, two memorandums of understanding should be signed: one between Enterprise Europe Network and the consortium and one among the consortium’s members,” he added. Omidbakhsh noted that organizations in non-EU countries can apply on a self-financing basis and Enterprise Europe Network does not provide financing to non-EU members but they can enjoy the various services offered, including accessing the database, receiving help on implementing research projects and getting to know non-EU SMEs. According to Deputy Industries Minister Sadeq Najafi, small- and medium-sized enterprises constitute 92% of Iran’s 85,000 manufacturing enterprises. By definition, enterprises run by 50 workers or less, and 100 workers or less are considered small- and medium-sized enterprises respectively, according to ISIPO. Iranian SMEs exported more than $2 billion worth of products in the last Iranian year (ended March 20, 2018). Farshad Moqimi, the deputy head of Iran Small Industries and Industrial Parks Organization, 98,562 jobs were created, 2,575 new industrial units became operational and 1,462 units that were closed due to various problems were helped back on their feet during the period. “A total of 35 small- and medium-sized manufacturing enterprises are currently under development in Iran through foreign investment,” Najafi said in June. He added that 28 of these projects are located in industrial towns with a total foreign investment worth $2.8 billion. Iran signed a memorandum of understanding with South Korea’s Deputy Minister of SMEs and Startups Choi Su-gyu on August 31 to increase cooperation on the development of small- and medium-sized enterprises in the two countries. The MoU was signed during Najafi’s visit to Seoul to attend the Seventh Korea-Iran Technology Exchange Conference.